BAP Software will assist your customers that require compliance-oriented work by providing a framework to build and manage standards and policies. 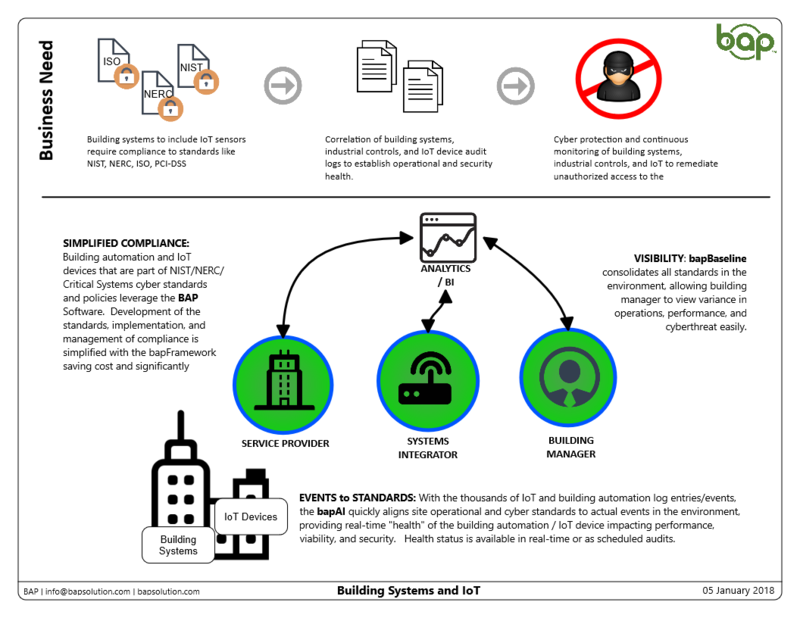 Managing the multiple events/errors that are occurring in the environment as you increase automated systems will become more difficult for building managers, not only focused on the cyber threat but operations and performance of computerized systems. BAP enables that correlation and association of events in the environment to the standards established, providing real-time visibility to the building manager and other interested parties, as to the performance and cyber health of the environment.